1.5 In this policy, "we", "us" and "our" refer to Cambridge Kids Club. For more information about us, see Section 13. 3.5 We may process your personal data that are provided in the course of the use of our services ("service data"). The service data may include your children's data. The source of the service data is you or your employer. The service data may be processed for the purposes of operating our website, providing our services, ensuring the security of our website and services, maintaining back-ups of our databases and communicating with you. The legal basis for this processing is consent OR our legitimate interests, namely the proper administration of our website and business OR the performance of a contract between you and us and/or taking steps, at your request, to enter into such a contract. 3.12 We may process childcare information. This data may include details about your children. The source of this data is yourself . This data may be processed for the delivery of childcare. The legal basis for this processing is consent OR our legitimate interests, namely childcare OR the performance of a contract between you and us and/or taking steps, at your request, to enter into such a contract. 4.3 We may disclose your personal data to our suppliers or subcontractors insofar as reasonably necessary for the delivery and administration of childcare services. 4.4 Financial transactions relating to our website and services are OR may be handled by our payment services providers. We will share transaction data with our payment services providers only to the extent necessary for the purposes of processing your payments, refunding such payments and dealing with complaints and queries relating to such payments and refunds. You can find information about the payment services providers' privacy policies and practices at their website. 5.2 We and our other group companies have offices and facilities in the UK only (currently). The European Commission has made an "adequacy decision" with respect to the data protection laws of each of these countries. Transfers to each of these countries will be protected by appropriate safeguards, namely the use of standard data protection clauses adopted or approved by the European Commission, OR the use of binding corporate rules. 5.3 The hosting facilities for our website are situated in the UK . The European Commission has made an "adequacy decision" with respect to the data protection laws of each of these countries. Transfers to each of these countries will be protected by appropriate safeguards, namely the use of standard data protection clauses adopted or approved by the European Commission. (a) Childcare data will be retained for a maximum period of 21 years following the last time you make a booking. (a) the period of retention of childcare data will be determined based on UK law. 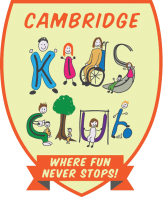 13.1 This website is owned and operated by Cambridge Kids Club. 13.2 We are registered in England and Wales under registration number 07632805, and our registered office is at 65 Dallas Road, NW4 3JD. 13.3 Our principal place of business is at Cambridge Kids Club Dencora Business Centre, Trinity Hall Farm Industrial Estate, Nuffield Road, Cambridge, CB4 1TG. (d) by email, using info@cambridgekidsclub.com. 14.1 Our data protection officer's contact details are: info@cambridgekidsclub.com.